TOKYO – Following a rainy Sunday, Tokyo’s Ueno Park was packed on Monday as people enjoyed the city’s cherry blossoms. 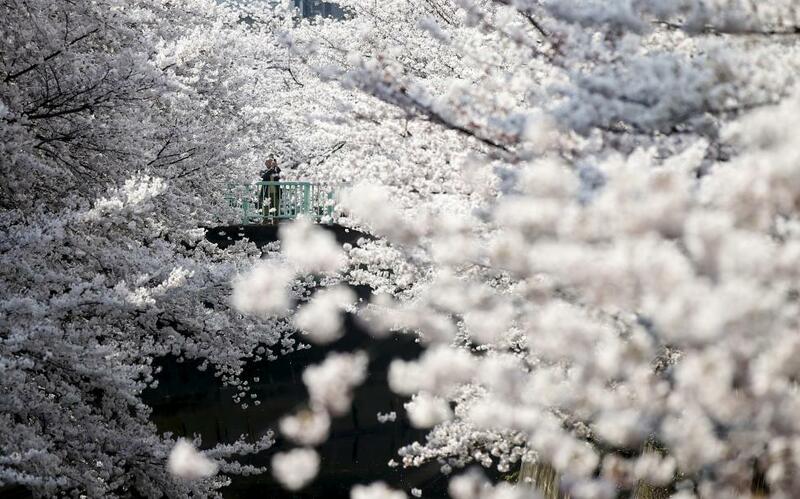 Known as hanami, the flower festival attracts locals as well as plenty of foreign tourists, says Hiroko Sato from Tokyo’s Bureau of Construction. “Ueno Park is a famous cherry blossom viewing spot, which is why we included English translations in our posters in hopes of informing foreigners of our rules,” said Hiroko Sato, head of Greenery of Eastern Tokyo at the Tokyo Bureau of Construction. Selfies were the order of the day as visitors enjoyed the traditional spring party atmosphere. “I’m drinking today with friends from my university club to celebrate the changing of seasons, like a year-end party,” said university student Takuya Hara. “Cherry blossom viewing is an event we have participated in since our childhood. Japan would not be Japan without its cherry blossoms,” said Tokyo resident Mieko Nakai.